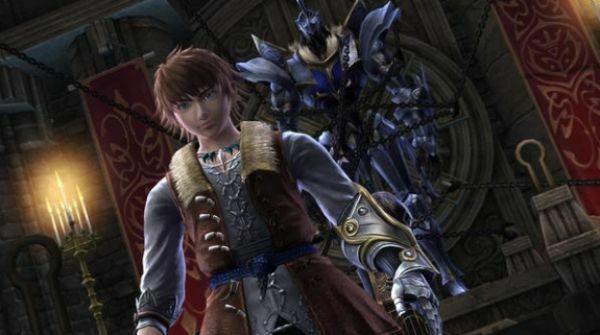 There certainly is a lot of buzz in the RPG world right now between the recently released (and co-opable to a degree) Demon's Souls, and the upcoming (but with no co-op option, sadly) Final Fantasy XIII. One title that may be slipping through a lot of RPG gamers' radars, though, is White Knight Chronicles. We've previously covered how the battle system works, and what all is included in the online portion of the game, but today we've got a video from Sony that goes into much greater detail about what players can expect from that online portion. Check it out after the break. Based on this, it definitely seems like they're going with a Western MMO feel for the online portions of their Eastern RPG. Which naturally begs the question: why? While the popularity of World of Warcraft, Guild Wars, and other MMOs has certainly lead to a lot more gamers becoming interested in RPGs, that doesn't mean that it's the only way RPGs have to go to be popular. One of the best co-op moments I've ever had was playing through Secret of Mana all the way through with a friend. This same line of thinking lead one of our community members to start a thread asking a similar question: do I always have to look backwards to find a quality RPG couch co-op experience? Weigh in and tell us what your thoughts are: is there still a market available for RPG couch co-op, or are MMOs the way of the RPG world?